ISLAMABAD: A huge number of visitors on Monday were fortunate enough to get glimpses of the major cultures of the world including Islamic, Asian, Eastern, Western, Latin and African culture – all under one roof at the 23rd Cultural Festival of International Islamic University Islamabad (IIUI) held at Faisal Masjid Campus. The festival will continue till April 20. A variety of stalls were set up at the campus where the students represented their civilization through traditional dresses, pottery, photographs, food and various cultural items. A large number of girl students presented cultures of different regions of Pakistan and more than twenty countries of the world including China, Saudi Arabia, Palestine, Jordan, UAE, Egypt, UK, Nigeria, Somalia, Iraq, Iran, Indonesia, Malaysia, Afghanistan, Bangladesh, India (Rajasthan), Japan and Turkey. Students were busy giving presentations about their home countries by showing their cultural heritage items. Chinese stall, decorated with traditional paper lanterns, silk paintings, ancient style fans, masks, wall-hangings as well as Chinese cuisine, remained the centre of attraction for the visitors. 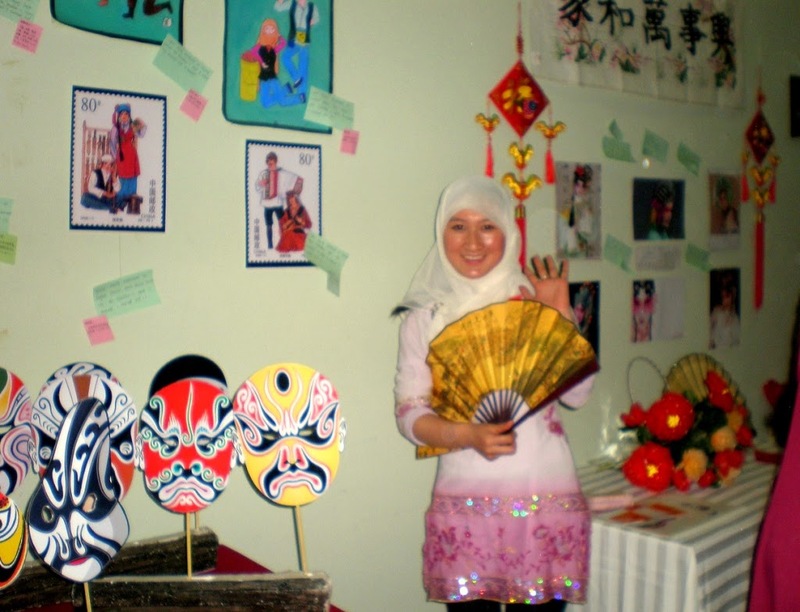 “China stall is definitely the best among the all as the students have put in a lot of effort to make it look beautiful” commented Noor-us-Sabah, a student. The traditional food, pots, and cooking utensils at the Jordanian stall gave a look of some local town of Jordan. This town was prepared in “a day with the help of my Pakistani friends at the campus” told Israa, a Jordanian student. Saudi Arabian stall was crowded with students as it presented “a fusion of both traditional and modern lifestyle of the country” explained Hina Idrees, a Shariah student at university. Replica of Al-Aqsa Mosque and a church were not the only attraction of the Palestinian stall but it also included several traditional foods prepared by Haneen, who was dressed in traditional clothing called ‘thobe’. “I have prepared around 12 traditional Palestinian dishes for the festival” she said. Dr. Zaitoon Fatima, head Arabic Department at IIUI remarked that “the festival held every at the university is aimed at fostering harmony among diverse cultures and to promote the cultural knowledge of the different regions among the students” The Iranian, Afghani and Turkish stalls adorned with the traditional heritage items also offered learning of the history and culture of its people. The stall of Punjab province focused on the folk tale of heer ranjha who “symbolize the loving nature of the people of this region” told Shehnela Mazhar. While the stalls of Khyber-Pakhtun-Khwa and Gilgit-Baltistan were also admired by the visitors.